Our users are at the center of everything we do. We work ensure that the needs of people with disabilities are considered throughout the user experience research, design and development process to deliver an excellent user experience for all. Our Accessibility Team has spent decades building accessibility awareness, techniques, guidelines, products, and tools which have shaped the industry. They bring to Oath their experience in creating a level playing field at companies such as Apple, Microsoft, Yahoo, AFBTech, and WGBH National Center for Accessible Media. Team members gather in the NYC accessibility lab. Mike Shebanek, Head of Accessibility at Oath, was formerly the product manager for the original iMac, iPad and VoiceOver screen reader for iOS and OS X. He also led Apple's Accessibility program to a leadership position in the industry. 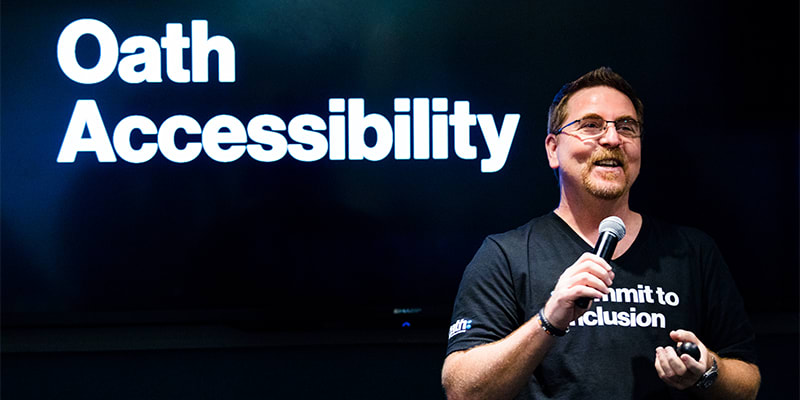 Gary Moulton is Oath's Mobile Web Accessibility lead, worked for 17 years as an Accessibility program manager at Microsoft managing developer relations for Assistive Technology companies. Larry Goldberg leads Video Accessibility at Oath after founding and directing the WGBH National Center for Accessible Media for over 30 years. Margaux Joffe has spent over 10 years producing social impact campaigns and projects, including the Disability Collection, and promotes accessibility through corporate and advocacy group partnerships and internally within Oath. She also founded and serves a co-lead for Oath's groundbreaking Neurodiversity Employee Resource Group. The NYC Accessibility lab at Oath. The Oath Accessibility Labs in NYC, Sunnyvale and Boston allow employees to experience how users with a disability successfully use mobile apps, websites and other digital devices through Assistive Technology. 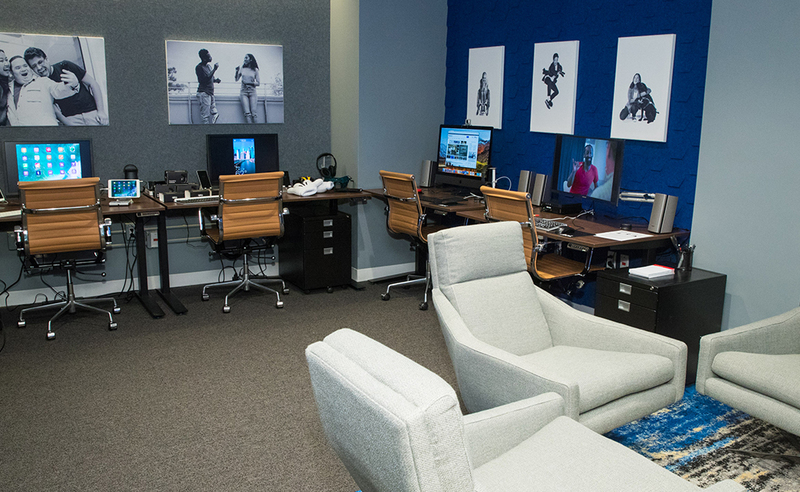 The labs features popular Assistive Technology software and devices that product development teams can use to test and evaluate the accessibility of their products. We’re always testing the accessibility of our products against the industry’s toughest standards, using the latest techniques, tools, and guidelines. Our evaluations are performed using the same Assistive Technology as our users, including closed captioning support, switch control, on-screen keyboards, alternate input devices, and screen readers. Behind the glass at the User Experience Lab. We include users with disabilities in our global user experience research studies and product evaluations. By listening and observing, we identify potential barriers to accessibility and correct for them as products are developed. Want to make an impact on the next generation of technology? Sign up below to give us feedback through surveys or product test sessions. Photo by Emily Soto for Yahoo Beauty Exclusive "6 people with physical disabilities share truths about power, love, and visibility." Yes, we work to make our products accessible for a network that reaches over 1 billion people. But we’re also proud to create inclusive content for and by people with disabilities. From interviewing Accessibility influencers to covering the latest disability stories on HuffPost, our editorial brands amplify stories that matter to our community. 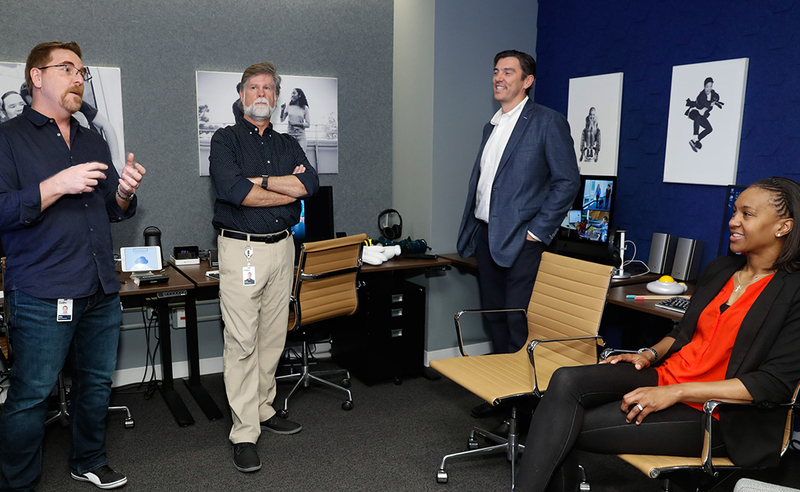 We're proud to be a leader in closed captioning of live and on-demand streaming video, providing captions or transcripts for far more than just our own original content. How are we doing? If there’s something we can do to make our products and content more accessible for you, let us know. Whether you have a question or just want to send us your two cents, our Customer Care team is trained and ready to help.